With the Europa League final looming, certain players have little time to impress Jose Mourinho in warranting a place in the final. Undoubtedly the game is United’s biggest of the season as although it would secure a second trophy, a victory also means Champions League qualification and thus deciding if this season has been successful or not. 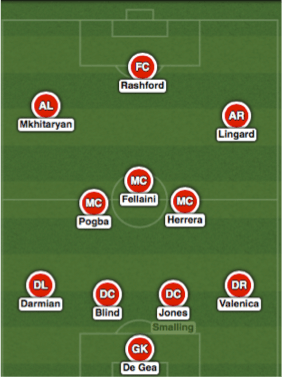 As the boss is already resting players prior to the game, it is pretty obvious to predict what starting XI he is going to field as there has been a clear pattern in his Europa line ups throughout the season, such as his preferences to play Fellaini and Mkhitaryan. 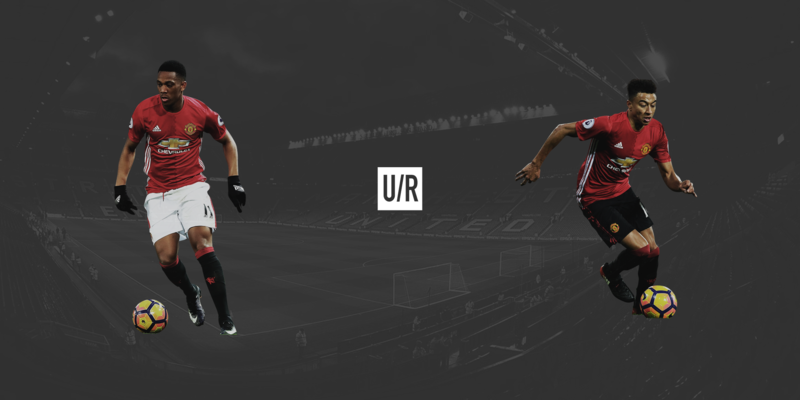 However, in United’s biggest game of the season one may wonder whether they should operate with a little more attacking intent and select Martial over Lingard. I have therefore taken a look to who is the best fit for the final. As we have seen this season, Jose Mourinho evidently likes players he can trust and Jessie Lingard has certainly provided as this. As a player with immense work rate and one who doesn’t shy away from his defensive duties, Lingard has often been the ‘safe’ option for Mourinho as he provides more of a defensive balance to the team as oppose to Martial. Predominantly operating on the right flank, Lingard likes to drift inside and occupy the space both in the midfield and also in behind the opposition’s defence. 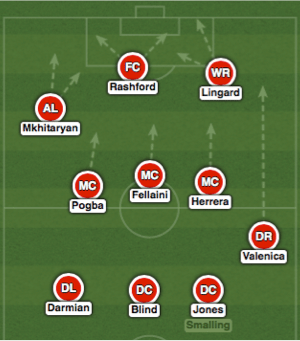 This is perhaps Lingard’s biggest strength as admittedly, he is rather intelligent in taking away defenders and thus making space for other players – something he can do from either the left or right wing. When operating in this role as almost a ‘raumdeuter’ Lingard offers as a nuisance to the opposition on a consistent basis and thus wear them down, something that could be useful against the inexperienced Ajax defenders. Although Lingard’s positioning effects his team mates in a positive manner, the big question around his selection stems from his actual ability and input whilst on the ball. In 29 starts across all competitions, Lingard has managed to score 5 goals but less impressively, only managed three assists. Although possessing a small burst of pace, it must be said that Lingard does not hold nearly enough of the same ability or perhaps confidence as Martial when beating his man. Another factor that has brought criticism from fans is his missing of chances as he doesn’t serve as a clinical finisher, despite his ability to get into good positions. In the League Lingard has had 37 shots and managed just one goal, one may wonder if United should opt for someone more clinical in a final where chances do not come about all too often. In his debut season for the reds, Martial lit the Premier League on fire and brought back that injection of pace and fear into United’s side that they had been missing for many years. Scoring 17 goals in his debut season, Martial certainly lived up to the hype as soon enough everybody had forgotten about the Twenty year old’s price tag. This season, much to the disappointment of fans, has however been a bit of a decline for the Frenchman who has struggled for regular game time whilst also not being able to replicate his form from last season. Despite this, Martial has been able to rack up relatively decent numbers of 8 goals and 8 assists in his 27 starts for United this season. Perhaps after such a star stellar debut season, Martial was never going to live up to the fan’s high expectations of him this summer. Martial’s style of play has however not changed this season as the Frenchman has still been operating on the left flank as an inside forward, looking to cut in and always cause danger to the opposition. Also as we saw for his assist for Rooney against Tottenham, it is clear that Martial never shy’s away from taking on his man even when he is lacking confidence. Even in a big game final such as this, Martial would still not alter his attacking mentality as it is simply not in his nature to operate as the style of winger that Jessie Lingard does. The attacking mindset of Martial has however not suited Mourinho’s philosophy in certain games where the manager has evidently preferred the safer option in Lingard, whom he knows will track back and defend. Evidently when choosing between the two players it comes down to either a small attacking gamble or a safe option. Coming up against a very young Ajax team, perhaps United coming flying out of the box with Martial’s pace and power is the best alternative to Lingard’s more conservative style. In a game full of tension United may need to rely on a moment of magic or skill and this is something, in my own opinion, Martial is more likely to offer than Lingard. In a season where United have been too compact and too safe for their own liking in the big games, perhaps a rare gamble from Mourinho in putting Martial in the side will come off. Whilst that is my own opinion, I do not believe Mourinho will opt for this. In such a decisive and crucial game for Mourinho’s United side in the long run, a pragmatic manager such as himself will not be tempted to sway from his usual style. 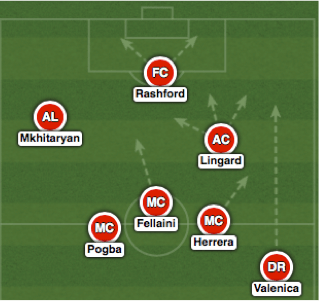 With Mkhitaryan almost certain to start, Lingard will provide as the counter balance on the opposite wing in a defensive manner, as ultimately he is the safer option to Martial.